Protecting and preserving Pittwater's natural heritage. PNHA is committed to raising awareness of, and providing information on environmental issues. We are involved in advocacy for environmental protection of key strategic sites, as well as the overall maintenance of the natural values that make Pittwater special. PNHA provides comment and advice on matters before Council that affect the environment through submissions where community consulation is invited. For example, establishing corridors for wildlife to cope with the widening of Mona Vale Rd and Ingleside land releases is essential. Ingleside Chase Reserve and Katandra Bushland Reserve MUST have fauna corridors to Ku-ring-gai Chase and Garigal National Parks to conserve healthy bushland and its wildlife, and the means to safely cross the widened road. PNHA is represented on the community reference group for the Ingleside land release. We succeeded in getting 122 Mona Vale Rd rezoned E2 Environmental protection and also woodland along the upper bank of Narrabeen Creek on 120 Mona Vale Rd. 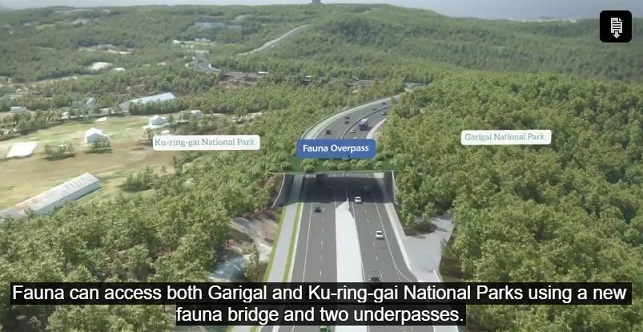 We have successfully lobbied NSW Roads and Maritime to ensure that fauna overpasses and underpasses will be provided on Mona Vale Road East and West. This will enable fauna to move between bushland areas. 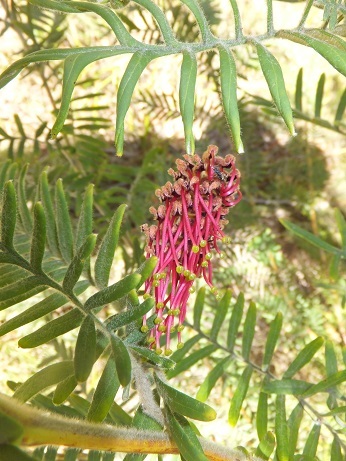 Grevillea caleyi is a critically endangered species. 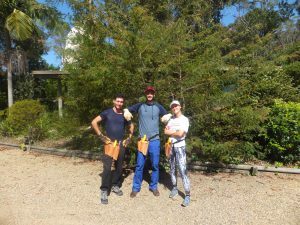 Pittwater Natural Heritage Association is coordinating a project funded by Greater Sydney Local Land Services and the NSW Office of Environment and Heritage Saving Our Species program. 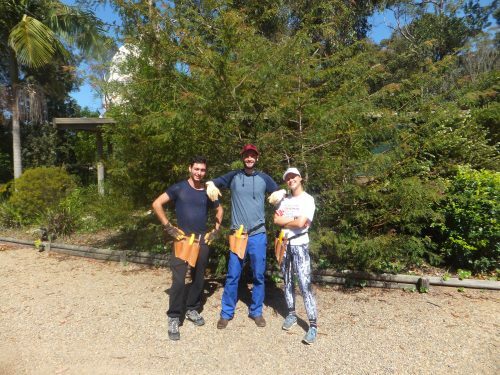 If you would like to volunteer with the PNHA bushcare group, contact David on 0404 171 940. 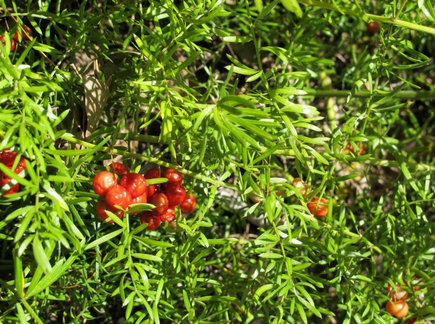 Asparagus Fern is Pittwater’s worst weed. The good news is that you don’t have to dig out those white tubers – they are only for storing water and cannot grow if left in the ground. 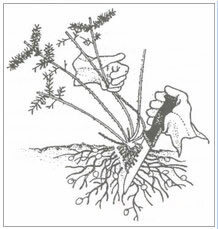 What you need to remove is the crown or central growing point. All berries and the crown should go into your green waste bin.